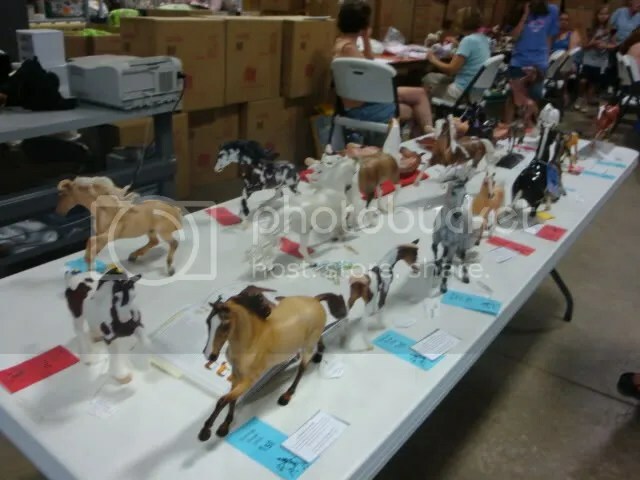 Event Report: Summer Break Live – Breyer Model Horse Show. Saturday June 27th marked the third all novice show hosted by Golden Oak Stables in Concord, NH. We welcomed 25 eager showers along with numerous other attendees that took the chance to participate in the Fun Day activities and to take a look at all the beautiful models. The show began bright and early on what was one of the first sunny and warm days in June. Showers from as far as New York brought their best show horses to compete and learn about models and their real life counterparts. 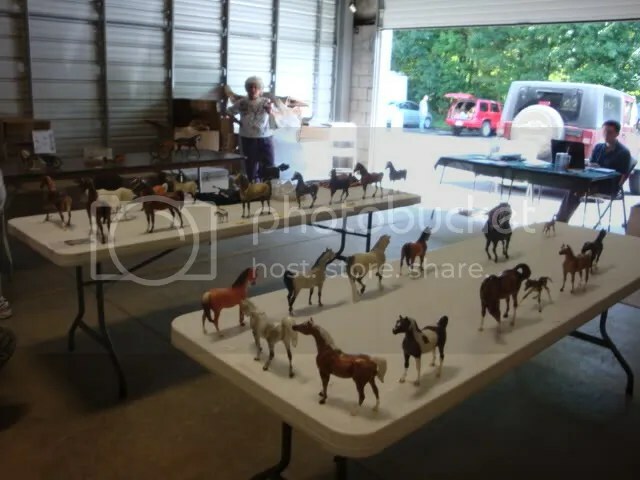 Model horse showing is nearly identical to real horse showing, except with model horses small exceptions are made. There are two main divisions in model horse showing, Halter and Performance. Halter is when model horses are judged based on breed standards that are identical to their real horse counterparts. In halter, there is no tack requirement and a halter is permitted but not necessary. In performance classes the model is set up with tack and props to recreate a real horse performing in a working activity. Popular classes for performance center on the english and western disciplines, but there are often classes for many other events including harness and native Arabian costume. Saturday morning brought Original Finish halter and performance. The classes were stuffed to the brim in most cases and the competition was fierce. Popular classes, as always, were English Performance as well as Arabian and Warmblood halter. Halter classes were a mix of new and vintage models alike. The performance classes also were quite a mix, with some showers choosing to use handmade tack and others choosing to use Breyer tack. 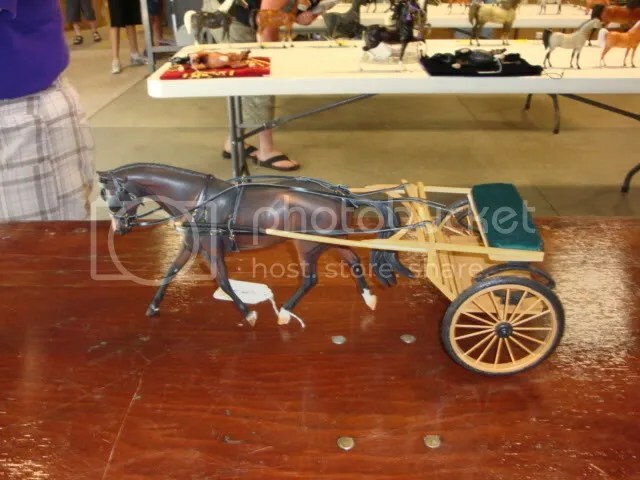 One of the entries that was honored with one of the top prizes in Performance was a miniature horse that wore simple Breyer Classic scale molded plastic tack. The tack was quite accurate and the model was shown in a very correct way. It goes to show that fancy tack doesn’t matter. It is more important for the tack to fit well and for the setup to be correct. We had a short break at 12:30pm for lunch as well as holding our fun classes. While fun classes didn’t qualify for anything besides having a good time, there were lots of fun horses that were brought out. My favorite class was the “Most Beat-Up” horse class, where horses that were “Very Loved” were showcased. We also had fun classes for other animals, first Breyer horses, favorite Breyer horse, fantasy horses, and an anything goes class where showers could showcase their imagination! 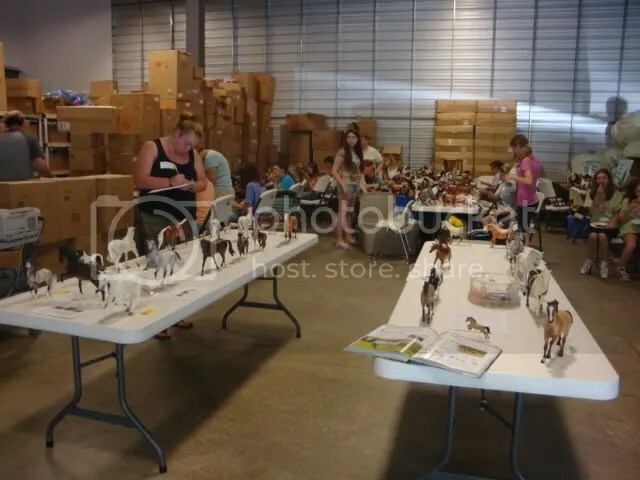 After lunch we followed up with Custom Halter classes where Breyer horses are custom painted to resemble real horses as accurately as possible. Customized horses can be any scale, from Mini Whinnie to Traditional, and can be created using just about any medium such as acrylic painting, airbrushing, pastelling. Along with custom halter we also held a few Collectibility classes which is similar to Halter but instead of breed guidelines, horses are judged based on the condition and rarity of the model. Showers brought beautiful rare models that were quite impressive and difficult to judge! The day ended around 4pm after all the prizes had been awarded and horses began being packed up for their long rides home. The day was filled with beautiful horses, great friends and friendly competition. Each show provides not only a great opportunity to learn but also a great opportunity to get together and interact with others with shared interest. Our next event is planned for August 29th and will be a hands on workshop day. 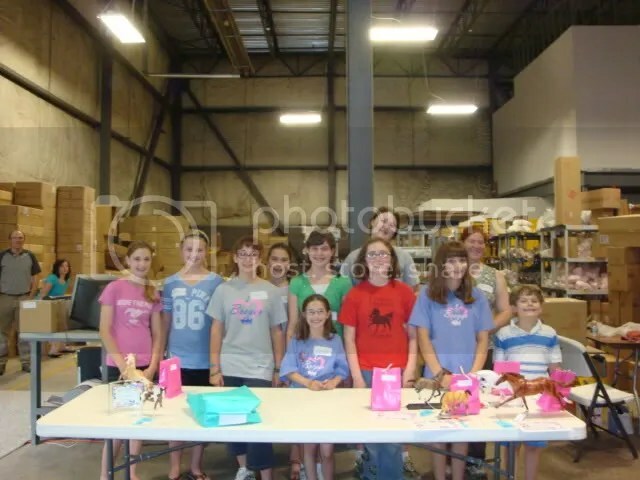 Topics to be included are Customizing, Tack Making and Prop Making. And, in October will mark our first annual Open show! Information for both events will be available shortly. Since inception Golden Oak Stables has strived to provide the best possible customer service and our customer feedback validates these efforts with a A+ (4.93 out of 5 scale) ranking. Just check it out!! Include a Chocolate Plush with your order and then at checkout insert the coupon code PLUSH4FREE when requested (minimum order $75). Coupon value $9.49. Expired June 30, 2009. Get ready for the summer fun! Purchase a GOS2009 “I Love Breyer Horses” T-shirt and receive a FREE GOS2007 “I Love Breyer Horses” T-shirt. THis is a $47.90 value for only $16.95. Limited quantities. Expires June 15, 2009. You are currently browsing the Stable News blog archives for June, 2009.